GN Mud Gas Separator is designed for continued drilling in underbalanced conditions where dramatic pressure surges are normal. 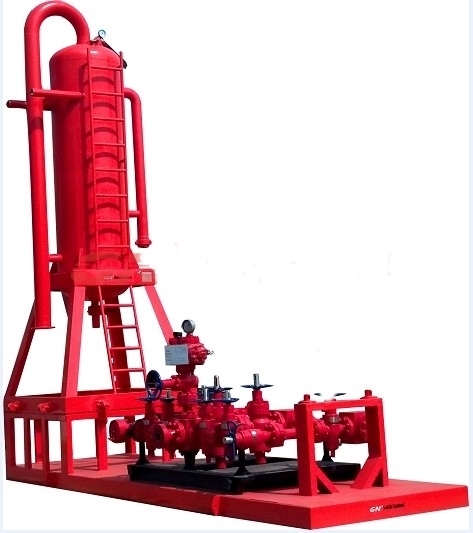 Our Mud Gas Separator is manufactured according to API and ISO Standard. 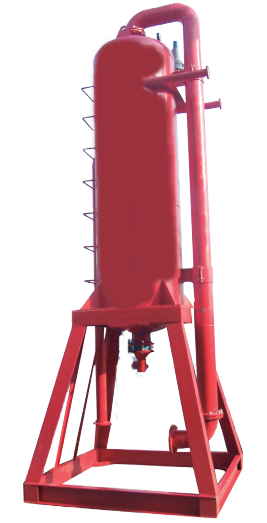 In dangerous “kick” conditions, the Mud Gas Separator allows operators to circulate the drilling fluid by removing large pockets of gas. The gas cut mud enters the flow line of the unit, where it hits a series of baffle plates. These baffle plates provide surface area for the dispersion of the gas cut mud. The mud is routed to solids control equipment for further processing while the separated gas travels to the flare line at the top of the unit to be vented at a safe distance from the rig and rig personnel. .